The Trans-Canada Highway in the Rocky Mountains between Golden, British Columbia and Lake Louise, Alberta passes through some of the most breathtaking scenery to be found in Canada. 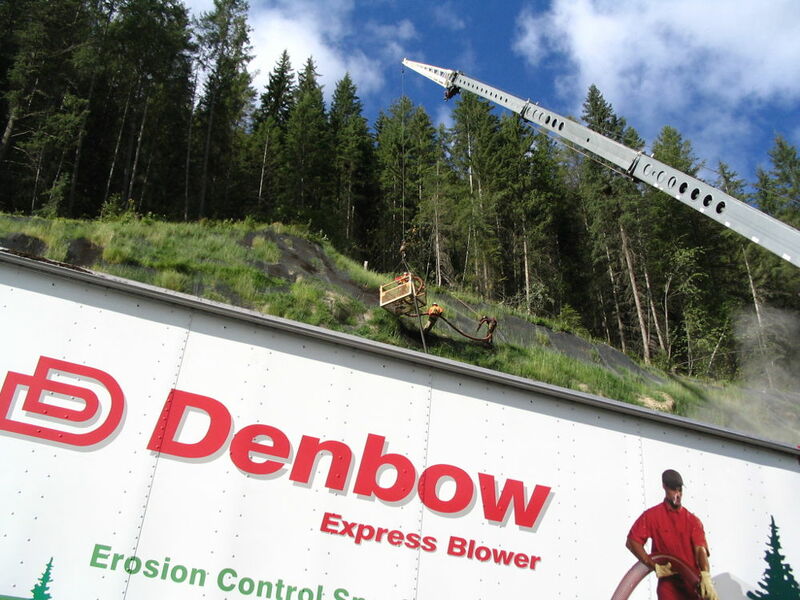 Denbow was called upon to assist with erosion control measures on the steep slopes. Terraseeded™ EcoBlanket® was installed to address erosion and to vegetate extremely steep slopes.